Come find us at BRAND Stampede Show and Sale. 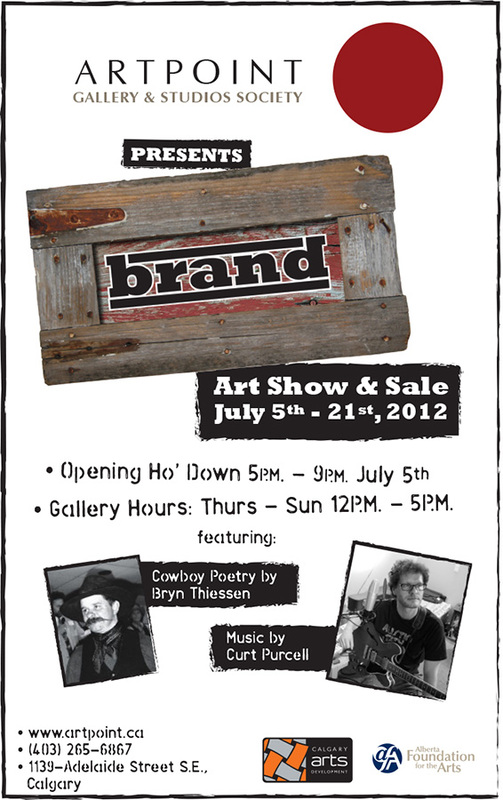 It’s happening at Artpoint Gallery and Studios during Calgary’s Greatest Show on Earth. The Opening party, Thursday July 6th from 5-9pm will be a fun time… we’ve lined up some great art, some live music and even some cowboy poetry. Just in case all of that leaves you hungry while you visit, some of Calgary’s new food trucks will be on site, serving up some food fit for the occasion. If you can’t join us on the 6th, remember that Artpoint extends its hours for this summertime show so stop by to check it out Thursday through Sunday noon- 5pm July 7-22nd.